Rocky S is the well acclaimed Hollywood and Bollywood designer who will be taking care of the sartorial sensibilities of Superstar Rajinikanth, Amy Jackson and Akshay Kumar in Shankar’s 2.0. We caught up with the most happening Rocky for a small chat. What made you take up designing as a career? I always had an inclination towards a more creative and artistic field. Hence I took up a formal training in Fashion Designing. After getting some work experience, I started styling and designing for films and eventually launched my own label. What are the films that you have done so far and who are the celebrities you have styled/designed? I have styled and designed for over 300 films like Gadar, Kaho Na Pyar Hai, Ajnabee, Raaz, Koi Mil Gaya, Krishh and Kabhi Khushi Kabhi Gham to name a few. I have designed and styled lots of celebs from both Hollywood to Bollywood like Paris Hilton, Pussycat Dolls, Beyonce, Bipasha Basu, John Abraham, Katrina Kaif, Shilpa Shetty, Shamita Shetty, Vivek Oberoi, Hritik Roshan, Arjun Rampal, Dia Mirza, Esha Deol, Yana Gupta and Priyanka Chopra. How did Shankar’s Enthiran 2.0 happen? After taking a 3 year break from the film industry, I got a call from Shankar’s office. He is the most respected and intelligent director in the film industry. So I did not want to miss a chance and immediately took up the project. 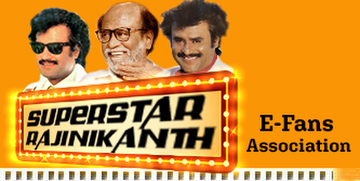 How was it to meet Rajnikanth? It was a surreal experience; not everyone is fortunate enough to meet a legend like him. He is a gold hearted person. It was like a dream come true. How are you planning to dress Rajinikanth, Akshay Kumar and Amy Jackson? The overall styling and designing of the film comprises of contrast styles. There is a casual look as well as futuristic look given to the main cast, the antihero has been given a devilish look and female lead has been given formal look.